Madison… Wisconsin University Union Chair, Göran Hellekant, has filed a lawsuit against the University of Wisconsin Board of Regents and UW Madison Chancellor, John Wiley alleging that enforcement of federal animal welfare laws is unfair to scientists when they are disciplined for violating the regulations. Ei Terasawa was barred from using animals for two years by the UW Madison Animal Care and Use Committee (ACUC) when federal inspectors discovered that monkeys were being left unattended during invasive brain experiments, a violation of her ACUC-approved protocols. 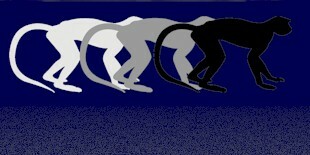 A subsequent investigation revealed gross record-keeping errors including much confusion concerning which monkeys had undergone various procedures. The ACUC chair called her an “outstanding scientist,” but she was disciplined nevertheless. The (WUU)/Hellekant suit claims that the ACUC has no authority to discipline staff and that doing so violates their right to due process as stipulated by UW personnel policies and state law. The university argues that using animals in research is a “privilege” and thus, suspension of this “privilege” is outside the purview of due process. “We recently learnt from a letter we received from the Chancellor that on campus one ‘investigator and staff the investigator supervises’ are prohibited ‘from working directly with live animals for a period of two years, at which time they may apply for reinstatement’ (quotation form the Chancellor Wiley's letter June 4, 2004). “Now you may think that a. there must some highly valid reasons for such a draconic sentencing, and as a minimum the investigator was offered due process. This was not the case, because according to the Chancellor's letter, the same Animal Care Committee that passed the severe punishment also served as prosecution and appeal forum. How do you successfully appeal to the same group that sentenced you in its previous meeting? So what about the infraction? It must have been serious since the investigator demonstrated ‘a failure to recognize the importance of the federal rules and regulations governing the use of animals in research’. 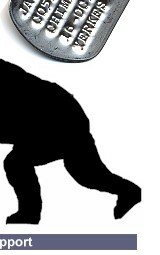 To me it sounds like one of the cases at Guatanamo!” (sic) Göran Hellekant, “Message from the Chair.” October 14, 2004. Göran Hellekant’s work at the University of Wisconsin with the protein brazzein has been showcased by the British House of Commons as an example of modern biopiracy. Hellekant studies the physiology of taste. He dissects living primates’ cheeks and jaws and exposes the nerves that run from the tongue to the brain. He records the nerves' sensations while dropping different sweeteners onto the monkeys' outstretched tongues. 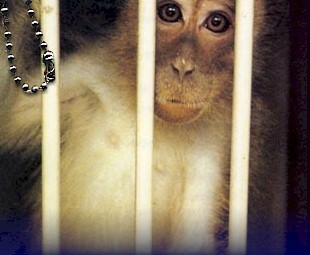 He has been doing this to primates and other animals for over 30 years. Surprisingly, some Madison-area animal rights activists have sided with Hellekant, almost. 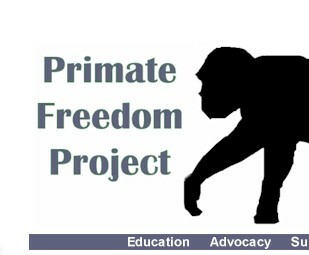 “Decisions about animal use and care, especially when violations of federal laws and regulations have occurred, should not be left in the hands of committees comprised almost entirely of other animal researchers,” said Rick Bogle, member of the Alliance for Animals Primate Freedom Project. “Issues of this magnitude should be considered by the entire university community. We’d like to see such matters presented to the faculty senate so that historians, language professors, philosophers and experts in every field can weigh in with their opinions. Letting those with clear vested interests in animal research be the sole arbiters of issues concerning animal research, seems entirely unethical,” said Bogle.